This past week I was having a great conversation with my friend Nick “The Mad Scientist of Muscle” Nilsson. 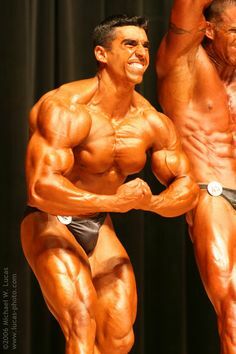 Nick is a very successful natural bodybuilder with poor genetics who started out at 145-lbs soaking wet and now weighs over 200-lbs with single digit body fat levels! At either rate, I LOVE talking to Nick as he is pretty insane when it comes to building muscle. Conventional is not a word I would use to describe his training methods. I love Nick’s training tactics since, like myself, he is a huge proponent of periodization. 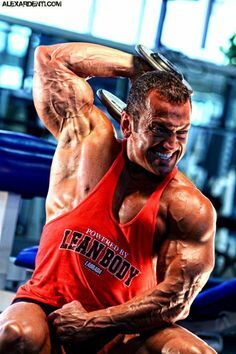 In addition, his periodization models are extreme and when followed as laid out, they will yield huge results in muscle mass gains. So we were discussing different periodization programs that we have used with good success and he brought up one that he has put together which is absolutely insane. How insane? Let’s just say that for a week you will be doing body parts every day and overtraining on purpose…that insane! I actually followed a similar one to his back in my early 20’s with outstanding results. The bottom line is that via periodization and good nutrition you can push your body to the limits and bounce back much bigger and stronger. Periodization is about working with your body’s own natural cycles. You take the body to the brink of overtraining (and at times you even overtrain it on purpose) and then you cut back in order to allow the body to recover; something that will then allow it to grow bigger and stronger at an extremely accelerated rate! When you understand periodization to the letter and you know how to integrate the right diet plan along with it, then I guarantee you that you will grow regardless of what your genetics are! Talking to Nick this week made me happy to see that I am not the only one that does not follow conventional training tactics when it comes to building serious muscle. I mean, lets face it. 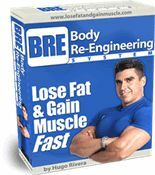 To build muscle past a certain point you really have to give the body a compelling reason to do so. As all of you who read my articles know, the fastest way to getting nowhere is to keep using the same routine day in and day out. So I asked Nick if he could put something together for my readers so that I could share with all of you his plan. Nick was more than cool by agreeing to do so. However, I was like: Can you put something for me by tomorrow? 🙂 Nick, been the awesome guy that he is, got me a report as fast as he could (36 hours). This is an excellent plan to follow for those of you who have used my Body Re-Engineering and Ben’s MI-40. If you are about to embark in Hypertrophy Max, this is something that you can do after the full year of periodization that you are about to embark on. 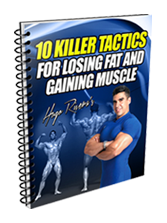 So with that said, check out his How To Force Your Body To Build Muscle Report <– Click here to download. By the way, I asked him for permission to distribute this report and he is more than ok with that. So feel free to click LIKE and share this report with your friends. 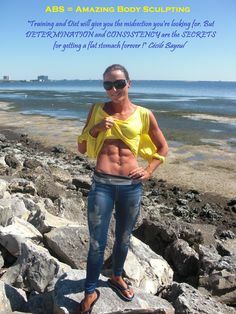 DOWNLOAD NOW ==> How To Force Your Body To Build Muscle Report <– Click here to download.